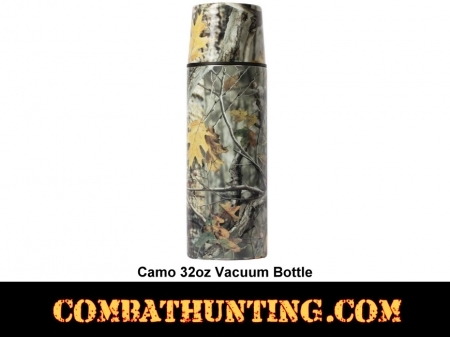 This Camo Vacuum Bottle is 32oz Perfect for piping hot coffee on the go! 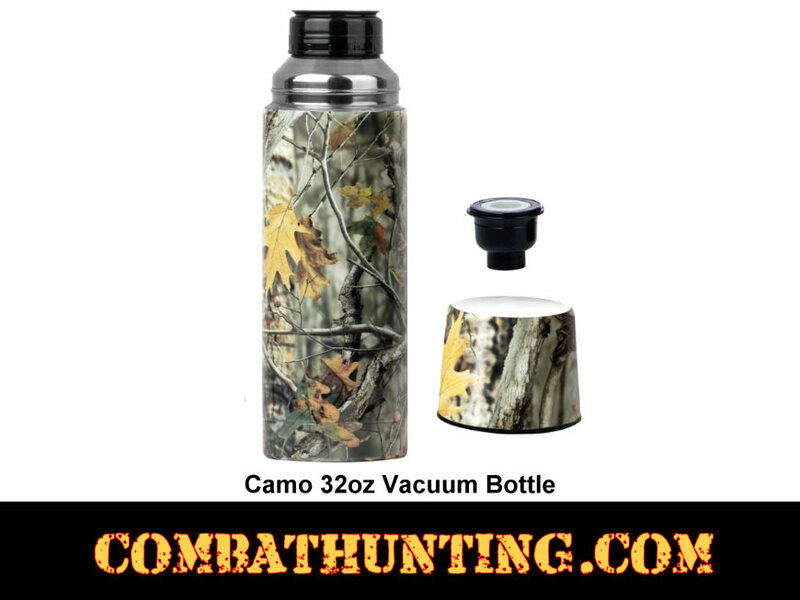 Take it on your next hunting or camping trip, great for hot soup. 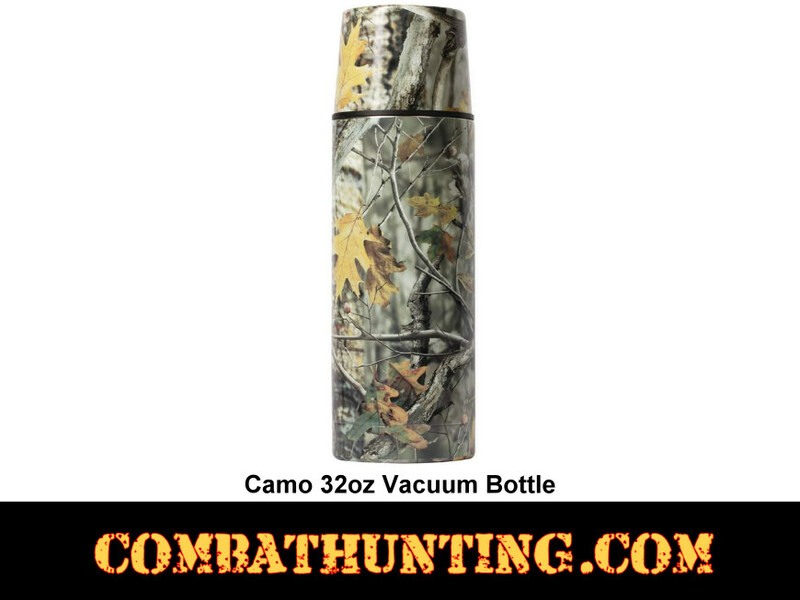 This camo vacuum bottle has matching lid that functions as a drinking cup. Easy to clean stainless steel interior.